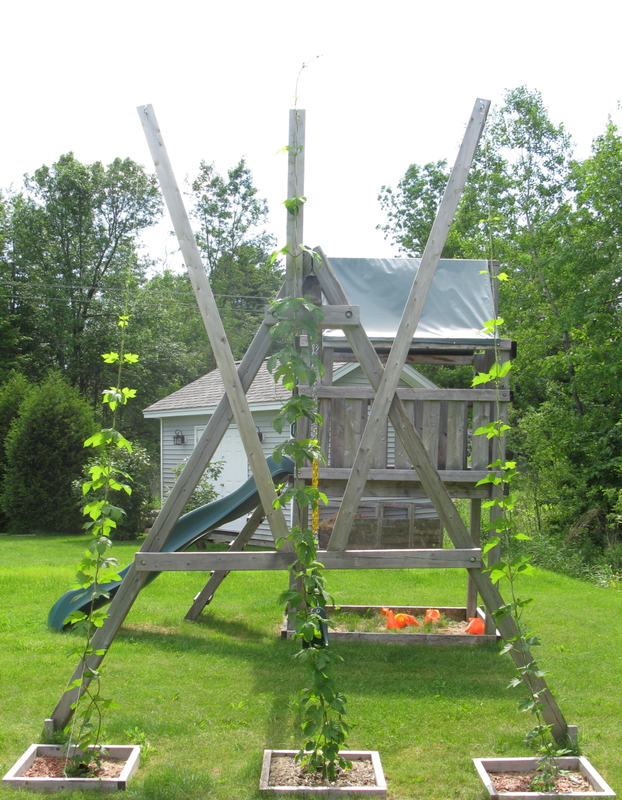 About 1 month ago I posted on the hops growing in the backyard. I thought I would update that now, just over 4 weeks later. 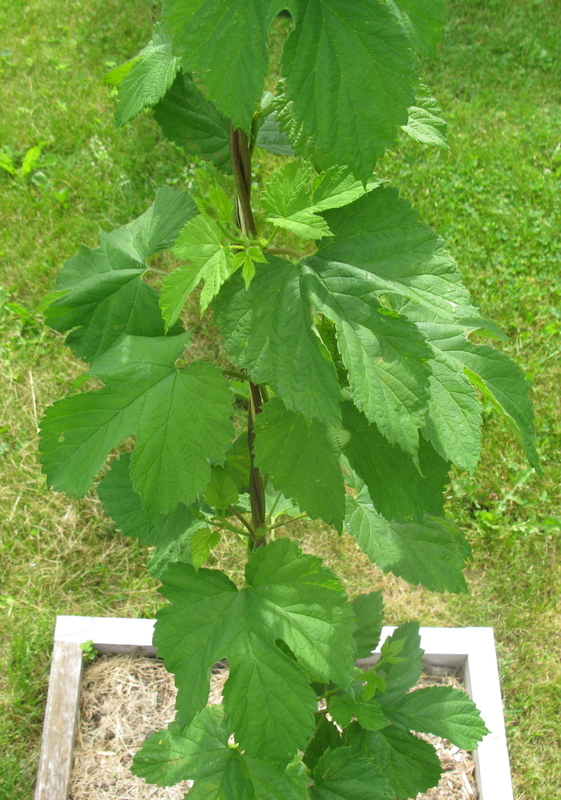 What can I say, if you live in the north, and you have something you want to cover up with some foliage for the summer, like an arbor or the wall of a shed, you can’t pick something much better then a hop plant. The nugget has already hit the top of the line, and will now start to send out cross shoots and fill out. The cascade and golding will probably be there in the next week.